Our goal in this newsletter is to shine a light on trends affecting charitable nonprofits so that staff and board members, and those funding nonprofits, have ready-access to background on important issues that can inform their decision-making. For instance, just yesterday, Building Movement Project released a new report, Race to Lead: Confronting the Nonprofit Racial Leadership Gap, offering data to back up what we know: Nonprofit leadership doesn’t reflect the racial diversity of the U.S., and that’s a problem for the entire charitable nonprofit sector. The report challenges assumptions about why people of color are underrepresented in leadership roles. We encourage you to visit the Race To Lead microsite, read the full report, and consider these central issues: As nonprofits shouldn’t we be better positioned than other segments of society to challenge norms and assumptions about race; face our own biases about who is qualified to lead organizations, and adopt forward-looking equitable practices in the workplace, in the boardroom, and in the C-suite? In this issue, we’re also pleased to share an update about IRS filings, and some new thinking about leadership transitions. And don’t forget that state associations of nonprofits are dedicated to helping your nonprofit advance its mission in many ways, including by offering staff and board members resources for their own professional learning journeys. A round-up of four innovative initiatives led by state associations of nonprofits follows. CalNonprofits’ Nonprofit Student Debt Project: Read FAQs about public service loan foregiveness and tap into the Student Debt Toolkit for Nonprofits to support nonprofit staff who have student debt. Maine Association of Nonprofits’ Mission Driven Leadershift Initiative is a response to the need for nonprofits (not only in Maine!) to prepare for leadership transitions. MANP is committed to supporting mission-driven leadershifts through forums, a leadership institute, and an executive transitions toolkit, to ensure the sustainability of nonprofit missions that are essential to a healthy and vibrant Maine. Michigan Nonprofit Association’s new Diversity, Inclusion and Equity Assessment tool enables individual nonprofits to measure their organization’s culture, using the tool both as a starting point to identify individual board and staff members’ perceptions of DI&E in the workplace, as well as a benchmark and resource for a nonprofit’s commitment and progress towards diversity, inclusion and equity “best practices.” With results from MNA’s DI&E self-assessment in hand, staff members and boards of directors will have data to start conversations and design proactive policies. Grantmakers can use it, too, for their own foundations or to share with grantees as a resource. While the basic assessment tool is a free benefit for members of Michigan Nonprofit Association, nonprofits across the country can access the tool and receive custom consultation at a reasonable cost to help them reflect and take action steps towards being authentic champions for diversity, inclusion, and equity. 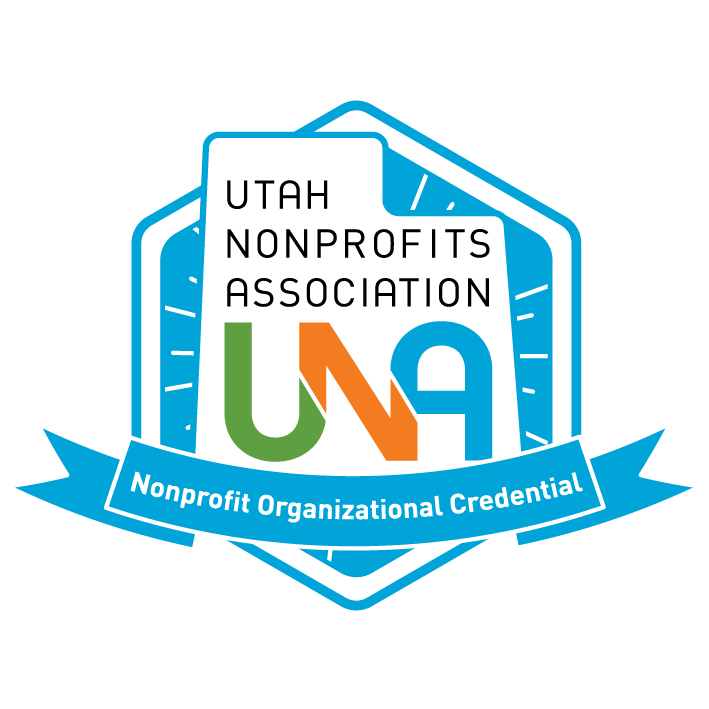 The Utah Nonprofits Association offers nonprofits in Utah an exciting pathway for their professional learning journeys through a credentialing program that has the added benefit of offering donors and volunteers a way to identify nonprofits that stand out in efficiency and impact. Attend learning programs – earn a total of 9 badges that represent the components of a holistic, well run nonprofit. Did you know? For nonprofits that file their Form 990s via paper (as opposed to electronically) the IRS will consider any blank or incomplete responses to be the same as if the nonprofit had NOT filed the Form 990 at all; penalties for late filing may apply, even if the (incomplete) form was filed in a timely manner. Takeaway: When reviewing the form prior to filing, carefully check for ANY blank fields, and look for answers that are incomplete. Should your organization file Form 990-EZ rather than the regular 990? Charitable nonprofits may use the 990-EZ when annual gross receipts are below $200,000 AND the fair market value of assets is below $500,000. Because typically more than one-third of all paper-filed Form 990-EZs contain errors, the IRS recently introduced an electronic version of the Form 990-EZ that includes pop-up boxes and links to IRS resources throughout the form, to help 990-EZ filers avoid common mistakes. Grantmaking organizations take note: The IRS tells us that newly nonprofits formed using Form 1023-EZ to apply for tax-exemption will now receive a Determination Letter that is IDENTICAL to those that apply using the standard Form 1023. This means that from now on it won’t be possible to tell just by looking at the Determination Letter whether a nonprofit applied using the 1023-EZ, or the standard form. Private foundations concerned about making grants to start-ups that applied using the EZ process (and may not have been vetted as thoroughly as applicants using the standard-form process) may elect to do their own due diligence to vet potential grantees, rather than rely on the IRS determination process. The IRS now publishes all the basic organizational information submitted by organizations using the Form 1023-EZ to obtain recognition of tax-exemption in a searchable database. Material for this IRS update is drawn from the Spring 2017 issue of YH Exempt Org Advisor, a quarterly publication of YH Advisors. There are plenty of excellent articles and even research papers on succession planning designed to help nonprofits and boards of directors, but despite the availability of rich resources, transitions of leadership continue to be among the most challenging events in the lifecycle of a charitable nonprofit. The elusiveness of smooth and successful transitions is an entrenched problem that requires every nonprofit leader – board and staff - to seize responsibility for transitions as if on a personal quest. Succession planning and leadership transitions are hard – and for some – scary, so we avoid the issue. Nevertheless, let’s think about how to turn leadership transitions into something that boards of directors can more realistically control, and are eager to address. Applying the power of positive thinking, what if we approached each leadership transition as a “powerful moment in a nonprofit’s life that can be used to advance mission capacity…”? These wise words and many other useful insights are shared in The Evolution of Executive Transition and Allied Practices, authored by Tom Adams (formerly President of TransitionGuides, now a director at Raffa, Inc.), which is a free and insightful resource that hasn’t received as much attention as it deserves. Our blog this month - which, as usual, provides a curated list of resources on the topic - uses the paper as a springboard for answering the question, how to find “success” in succession planning.